Well this is turning out to be a family vacation for the books! We are having a fantastic time! Chet, Colleen, Landon and Autumn arrived at Kilimanjaro International Airport on Sunday night. As you can see from the first couple of photos of the beginning of the trip they are getting right into the spirit of Africa! The first few days on the trail have been pretty hard but this is a strong team and they have been amazing. The first day, after we sent those photos from the Umbwe gates, we started up the remote and very beautiful Umbwe trail. 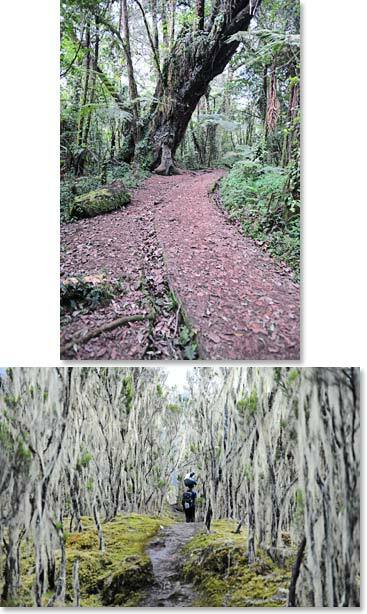 This is the forest trail that I believe is the most beautiful approach to the high reaches of Kilimanjaro. We climbed almost 4,000 feet on Monday and stayed at the Umbwe Camp. Today we woke up and after a fantastic breakfast prepared by the staff we started to climb to where I am calling you from now the Baranco Camp at 13,000 feet. So we climbed another 3,200 feet today. 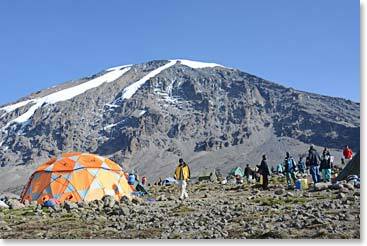 The weather has been absolutely clear and we have had a fantastic view of the gleaming glaciers of Kilimanjaro. We will be able to get those photos for you shortly but for now just know that we are settling down for another fantastic meal, the camp is comfortable, the team is happy and tired and ready for another good night’s sleep. 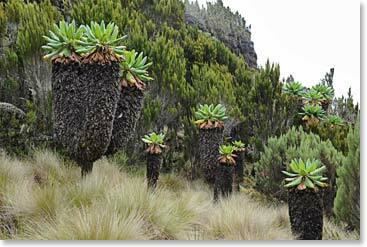 We are just beginning so stay tuned as we have further reports as we climb higher on Kilimanjaro and after as we set out for our wildlife Safari. 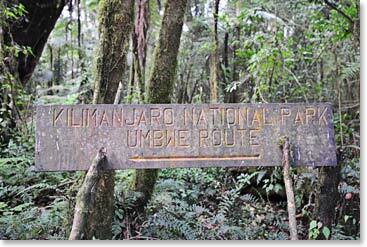 The Umbwe trail is a beautiful and remote way to reach the summit. 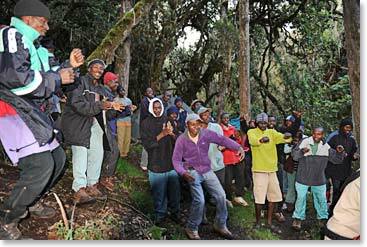 The Berg Adventures crew always finds time for singing and dancing; here they make the most of their time at the Umbwe Camp. The beautiful vegetation is always changing along the trails. Barranco Camp, where the team will enjoy some great meals and a good night’s rest before they continue on to the high reaches of Kilimanjaro.